The Seventh Ward is home to the latest exciting former school conversion in New Orleans: The G.O. Mondy School Apartments. 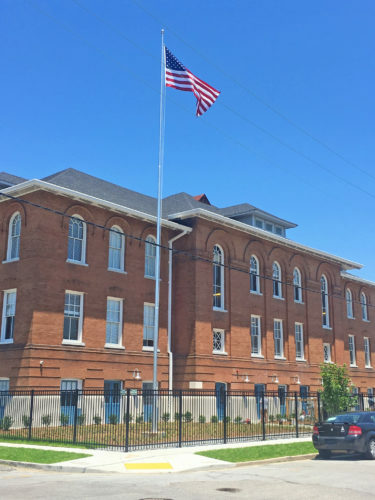 Built in 1897, the former elementary school, located at 2327 St. Philip Street, dubs its 35 beautifully renovated units as affordable, meaning residents will pay a maximum of 30 percent of their income on rent, according to James Neville, founder of Neville Development, the firm that completed this project. The company’s mission is to prove that “affordable housing can be developed at a high level of quality,” Neville said. His company is perhaps best known for the 31-unit Roman-Bienville Homes, a recently completed collection of 11 buildings that are a mix of historic renovations and new construction. The project was honored with an Award for Excellence in Historic Preservation by the Louisiana Landmarks Society last year. The abandoned George O. Mondy School, closed since 2006, was owned by the Orleans Parish School Board until 2014, when it was sold to the Housing Authority of New Orleans. 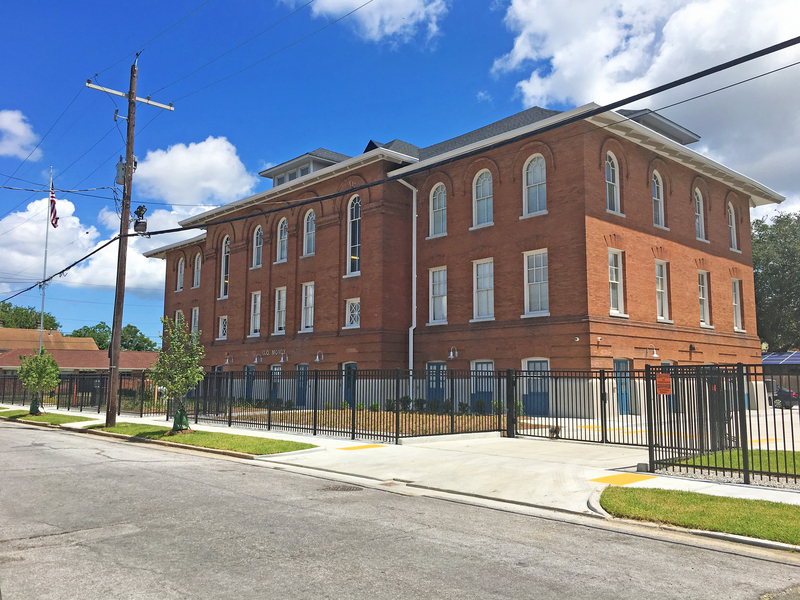 Neville Development later purchased the building from HANO for $500,000. 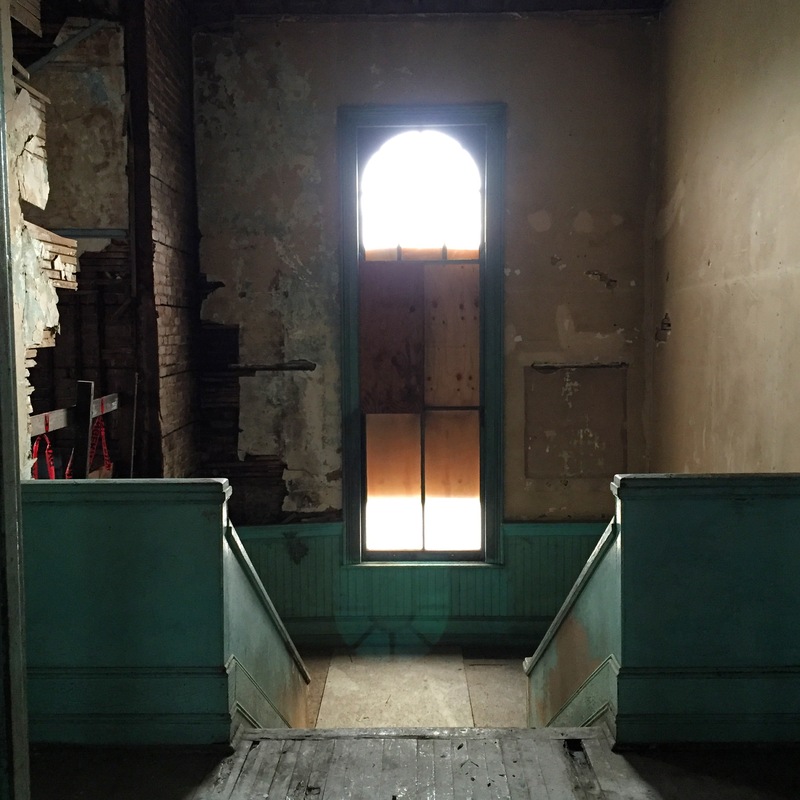 G. O. Mondy’s original wood staircase before and after renovations. 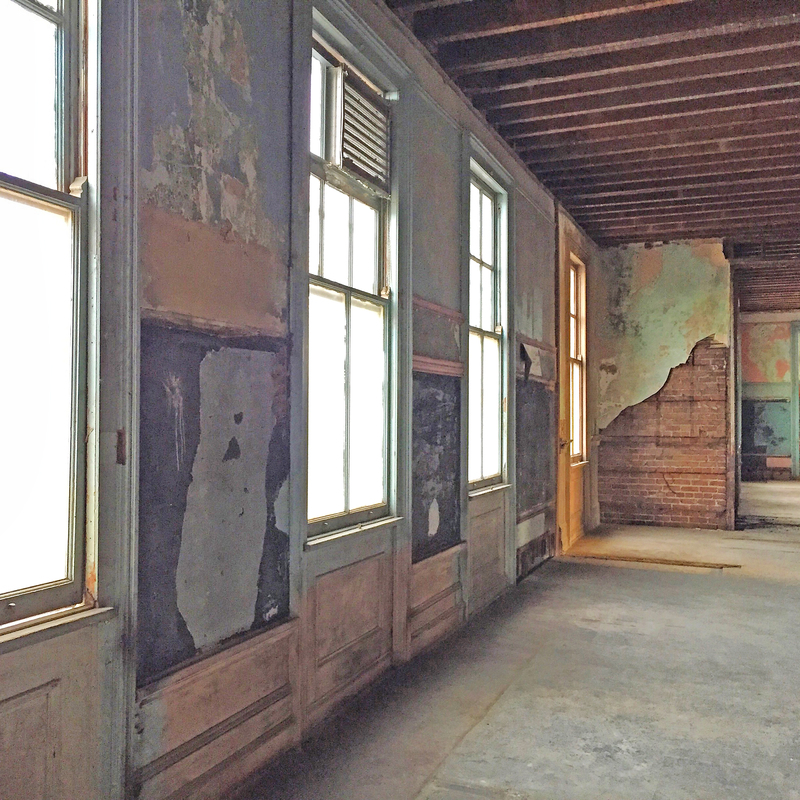 The developer is utilizing federal historic rehab tax credits to help finance the project. 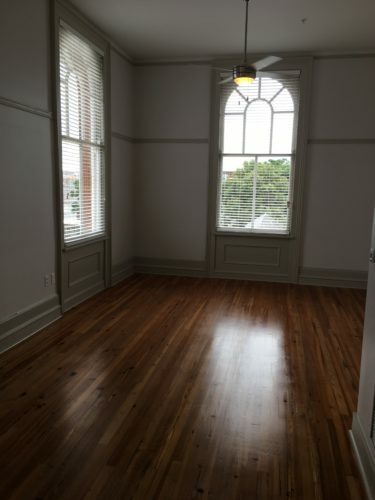 As such, the company’s restoration of the building’s historic elements were held to a high standard. 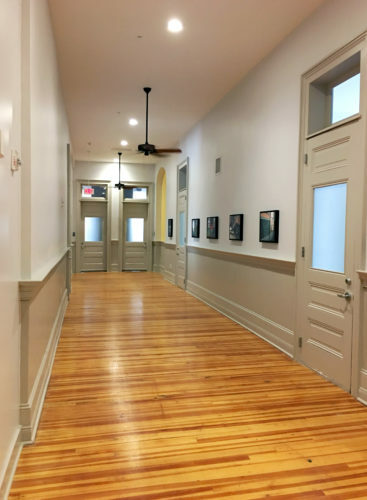 Outside, the original brick walls were restored; inside, the original hardwood floors were restored, the over-sized windows refurbished, and the wood wainscoting in the hallways was saved. 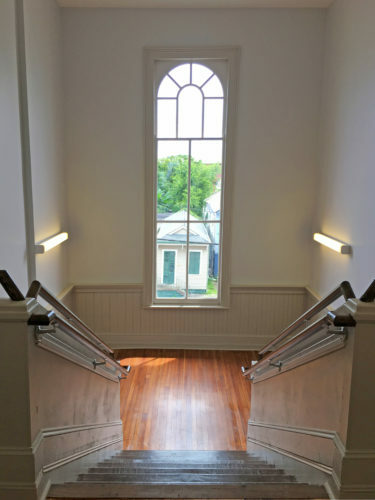 The building still boasts its original wood staircases, as well. 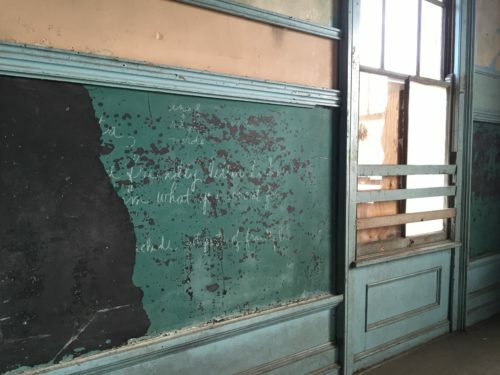 A particular point of pride for Neville was the team’s ability to save and restore the school’s original caretaker cot­tage. “As nice as it was to restore the main building, knowing that we were able to save the caretaker’s cottage at 1016 N. Tonti St. was equally gratifying because the building was scheduled to be demolished by the Orleans Parish School Board before we stepped in,” he said. “It’s almost an understatement to say that the cottage was barely standing” when construction began, Mendoza said. 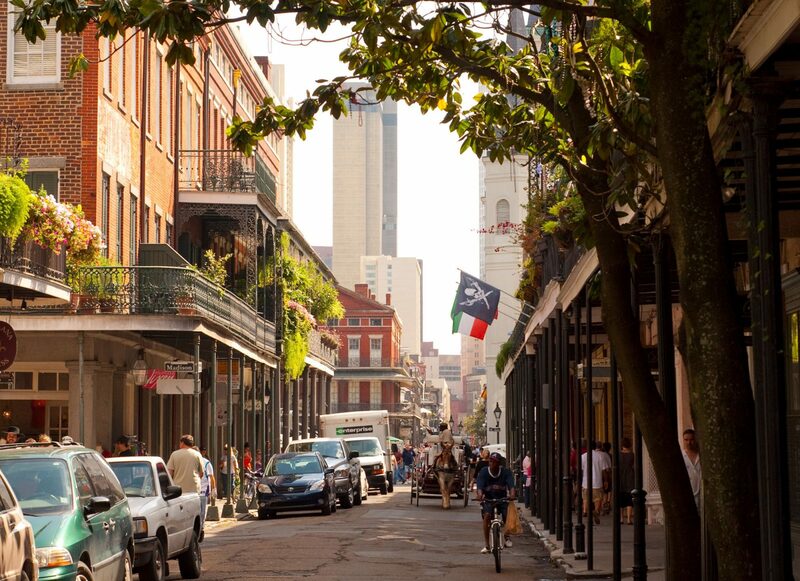 Today, it gleams. The design team behind this haven for seniors was HCI Design & Architecture, in partnership with Palmisano Con­tractors. Additionally, Northside Electric and Pontchartrain Mechanical worked on the project. Not only does this project preserve the legacy of George O. Mondy, but it has saved and revitalized a historic building and brought more affordable living options for the community of the Seventh Ward.